LinkedIn — the social network with more than 560 million members who connect around work-related topics and job-seeking — continues to add more features, integrating technology from its new owner Microsoft, both to improve engagement on LinkedIn as well as to create deeper data ties between the two businesses. Today, the company announced two more: users can now instantly view translations of content on the site when it appears in a language that is not the one set as a default; and they can now use QR codes to quickly swap contact details with other LinkedIn members. In both cases, the features are likely overdue. The lingua franca of LinkedIn seems to be English, but the platform has a large global reach, and as it continues to try to expand to a wider range of later adopters and different categories of users, having a translation feature seems to be a no-brainer. It would also put it in closer line with the likes of Twitter and Facebook, which have had translation options for years. The QR code generator, meanwhile, has become a key way for people to swap their details when they are not already connected on a network. And with LinkedIn this makes a lot of sense: there are so many people with the same name and it can be a challenge figuring out which “Mark Smith” you might want to connect with after coming across him at an event. And given that LinkedIn has been looking for more ways of making its app useful in in-person situations, this is an obvious way to enable that. Translations are coming by way of the Microsoft Text Analytics API, the same Azure Cognitive Service  that powers translations on Bing, Skype and Office (as well as third-party services like Twitter). It will be available in more than 60 languages, with more coming soon, LinkedIn says, to a “majority” of members using either the desktop or mobile web versions of LinkedIn. The company says that it will be coming to LinkedIn’s iOS and Android apps in due course, as well. Users will get the “see translation” link based on a number of signals you’re providing to LinkedIn that include your language setting on the platform, the country where you are accessing content and the language you have used in your profile. Content covered by the option to translate will include the main feed, the activity section on a person’s profile and posts if you click on them in the feed or share it. Meanwhile, with QR codes, you trigger the ability to capture one by clicking in the search box on the iOS or Android app. Through that window, you can also pick up your own code to share with others. LinkedIn suggests that the QR code can effectively become the replacement for the business card for people when they are at in-person events. But another option is that you can use this now in any place where you might want to provide a shortcut to your profile. 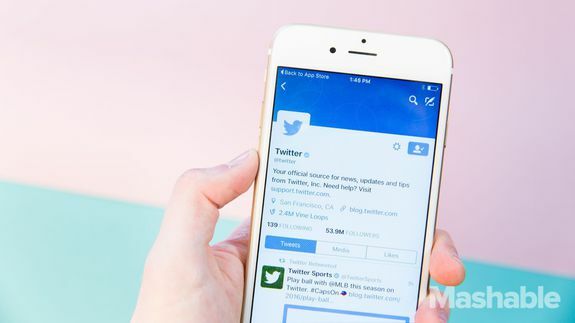 Twitter is trying to fix its discovery problem — again. The company is adding a new section to its iOS and Android app that will provide users with personalized recommendations for accounts they should follow. The update appears in the top left corner of the app, where the “find people” tab has been renamed to “Connect.” The Connect tab (not to be confused with the notifications tab that was previously called connect) now provides much more robust follow suggestions than previous versions of the app. There are two steps to take before you’ll get that job offer. The first is to create a résumé. An attractive and intriguing résumé will generate an invitation for an interview. The second step is to convince the interviewer you’re the ideal candidate. Unfortunately, though, most people fail in the first step. The reason is that in today’s super competitive job market, only candidates whose résumés are truly outstanding will generate further interest. Most—if not all—of those who prepare their own résumé find it deficient based on the fact that they get no calls. Therefore, ultimately, many turn to a professional résumé writer. But there’s a viable alternative that may be the better choice—and significantly less costly. And that is a professional résumé editor. To make my point, I asked Paula of EditAmerica.com to provide me with brief before-and-after portions of a résumé she recently edited. The readability, editorial integrity, and clarity of thought and expression are markedly improved in the edited version. I recommend such an editorial service for job seekers who cannot afford a professional résumé writer. Take a look at the example. Idea generator, communicator and problem solver. A business analyst experienced in bringing together the user community and the Information Technology teams to focus on establishing or identifying common goals and implementing satisfactory solutions. Have achievements in circulation, advertising, transportation, dealer contracts and cost containment arenas. Ability to translate user needs into requirements, and requirements into actionable projects. Seasoned idea generator, communicator, and problem solver. A business analyst offering expertise in skillfully uniting user communities with information technology teams so the two can focus on the determination and establishment of common goals and then on implementation of satisfactory solutions. Verifiable achievements in circulation, advertising, transportation, dealer contracts, and cost containment arenas. Additional proficiency in translating user needs into requirements, and requirements into actionable projects. Remember that a person whose job is to read résumés—and make decisions about candidacy and whether or not to call in applicants for interviews—has only limited time. In 10 to 30 seconds, the screener decides. And if your résumé is not appealing, clear, and communicative regarding how your skills, accomplishments, and strengths can help the prospective employer’s organization, then the next candidate’s perhaps is. DIY, or do-it-yourself, projects sometimes make sense and save money. But this one, involving résumé refinement, requires both in-depth editorial expertise and years of editorial experience. Why are famous artists’ works so much more attractive than those of most others in the same field? You know the answer!